Partnerships are core to our sharing and learning approach, adding immeasurably to the work we do and the impact we have. Whether academic or practical, global or local, collaboration builds the picture. A global organization that identifies and invests in leading social entrepreneurs — individuals with innovative and practical ideas for solving social problems. Rucore director Paul Cohen is an Ashoka fellow. Current work together involves water collaboration, youth leadership and rural innovation and farming. Represents the Lemba, an ethnic group of people in southern Africa who have a common descent to the Jewish people. Our collaboration is on sustainability and youth education programs. The GEF SGP aims to deliver global environmental benefits in the GEF Focal Areas of biodiversity conservation, climate change mitigation, protection of international waters, prevention of land degradation, and elimination of persistent organic pollutants through community-based approaches. 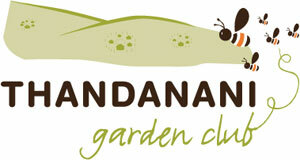 Partnership projects include eco-building at Tlholego and biodiversity in rural communities at Thandanani. BRC is a non-governmental organisation working towards pro-poor rural development in the central and eastern parts of the Eastern Cape Province for economically disadvantaged communities. Together we are working on ecological sanitation at Cata Village in the Eastern Cape. Established in 1999, the Institute focuses on learning for sustainable living and is based within the Lynedoch EcoVillage Development, Stellenbosch. Paul Cohen, executive director of Rucore Sustainability Foundation, completed his Masters in Sustainable Development there and continues to have a close working relationship around sustainability issues. Supports and builds Abalimi Bezekhaya (urban agriculture (UA) and environmental action (EA) association operating in Cape Town) its leading food security model – with the intention to replicate, promote and support this type of activity in South Africa in order to develop a thriving national micro-farming movement in South Africa. F&G Trust is Rucore’s partner in providing 18A tax deductions for supporting farming and gardening communities in South Africa. South African national social enterprise addressing sustainable development through climate change action, food security and greening, with a strong focus on environmental and global warming education and awareness. Rucore has a long-standing relationship in sustainability issues and permaculture education, including Rucore providing permaculture training to their employees. UP is the leading research university in South Africa and one of the largest in the country. Partnership involves developing a joint program to support senior students in architecture, town planning, civil engineering and quantity surveying to engage in practical interdisciplinary fieldwork. School’s Environmental Education and Development (SEED) is a well rooted non-profit and public benefits organization that develops curriculum for environmental education and green entrepreneurship. We partner in schools environmental education and permaculture training in the North West Province. Rucore has worked with RLM for the past two years in supporting enterprise development within their environmental clubs. Additionally we are assisting RLM in improving their waste management facilities.